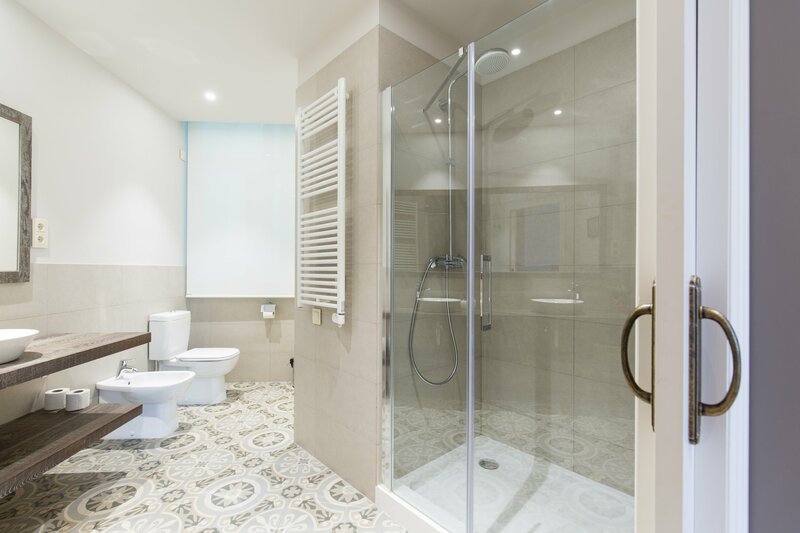 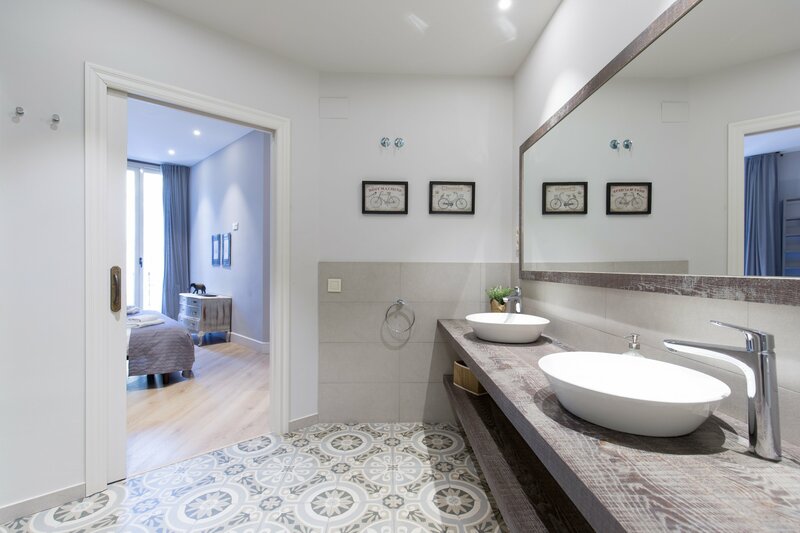 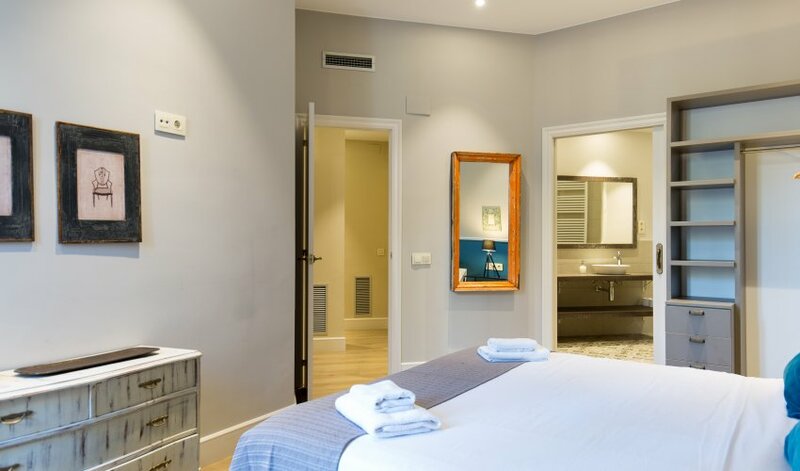 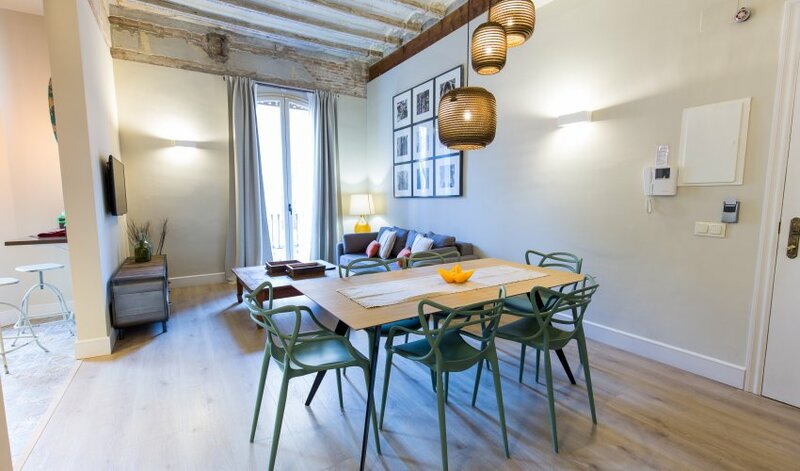 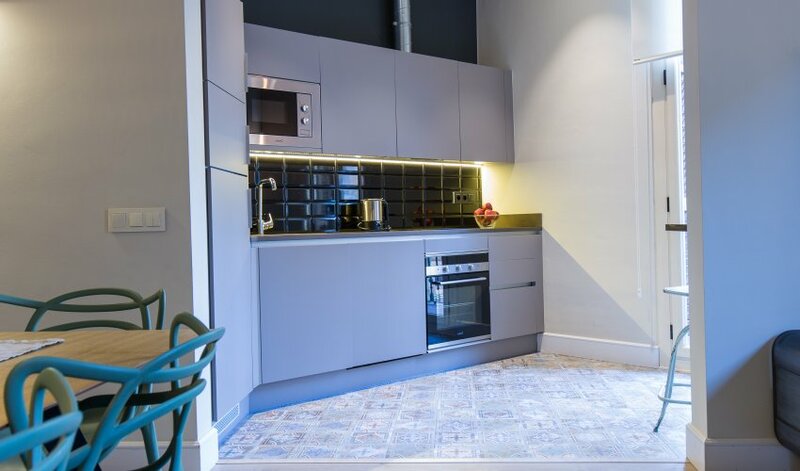 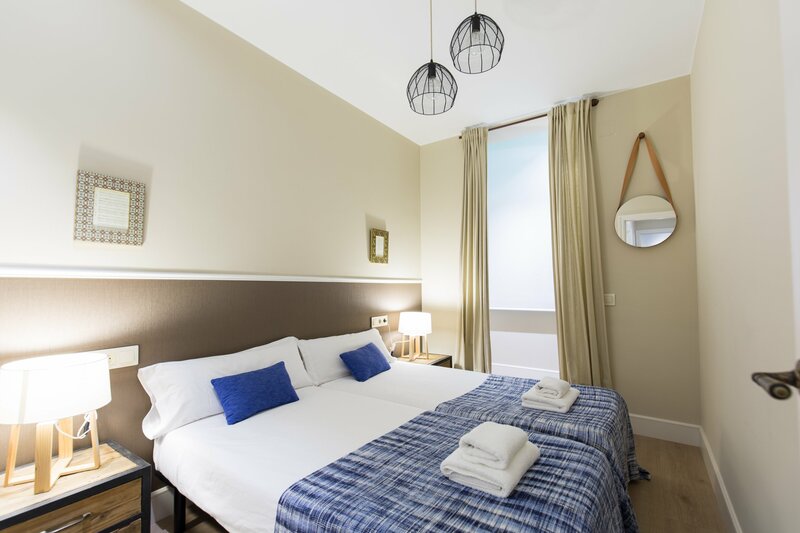 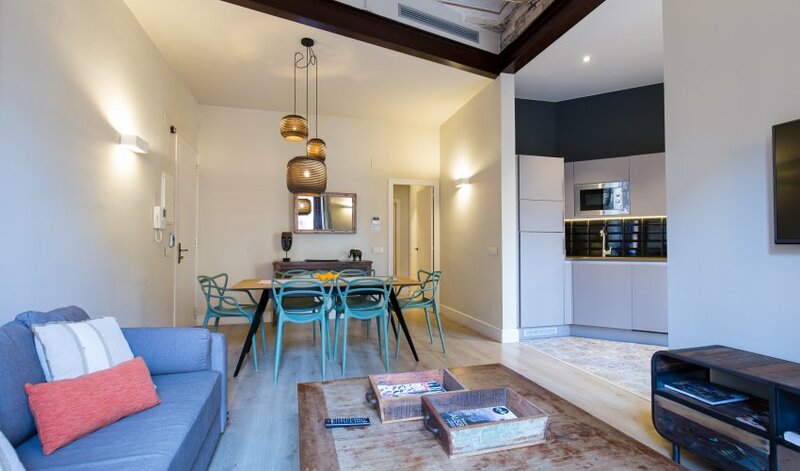 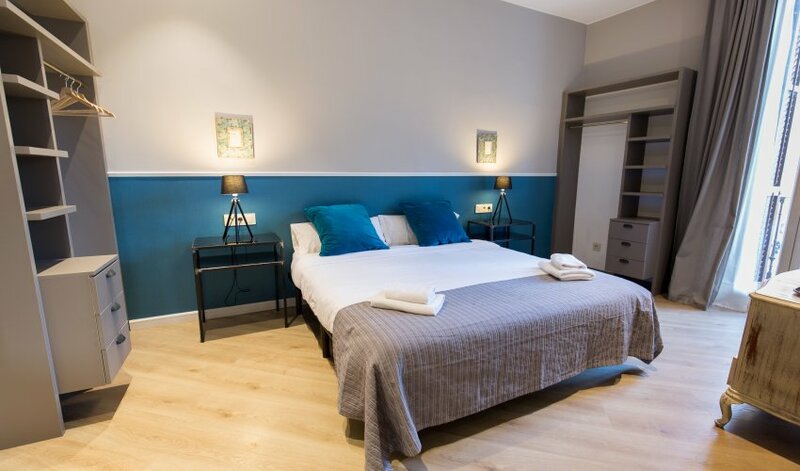 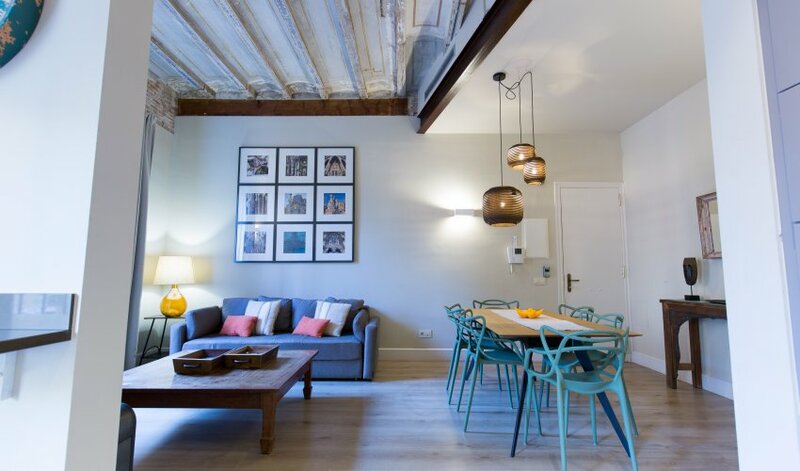 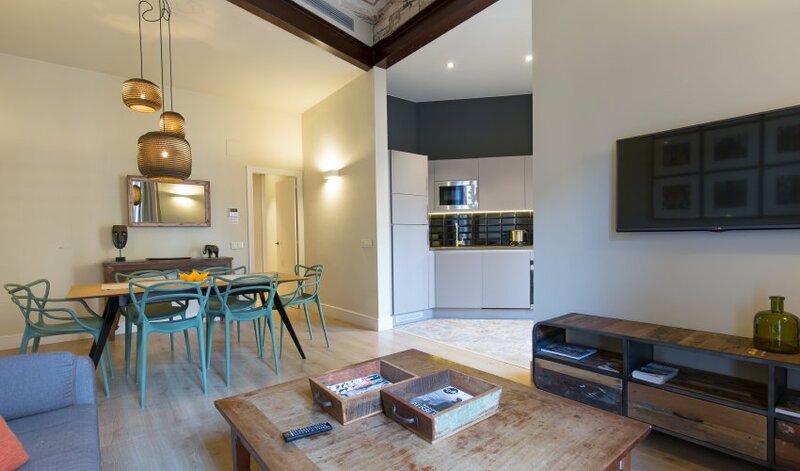 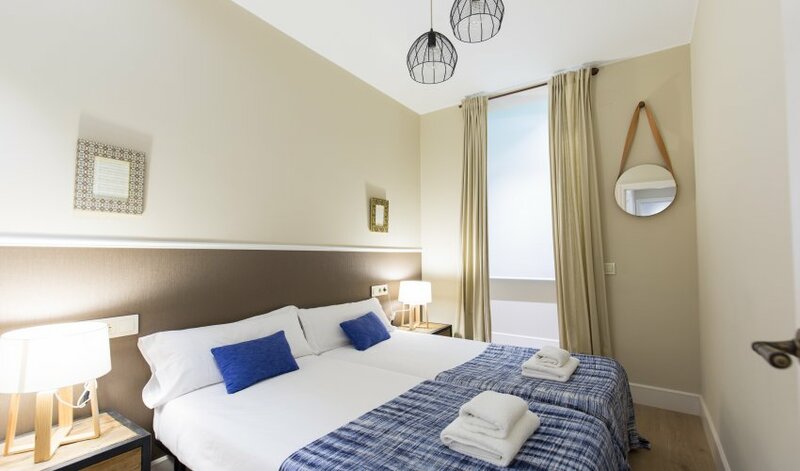 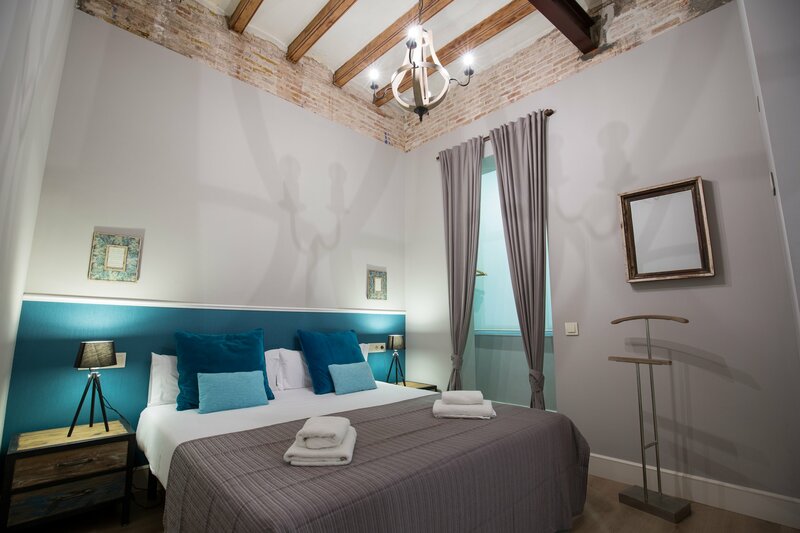 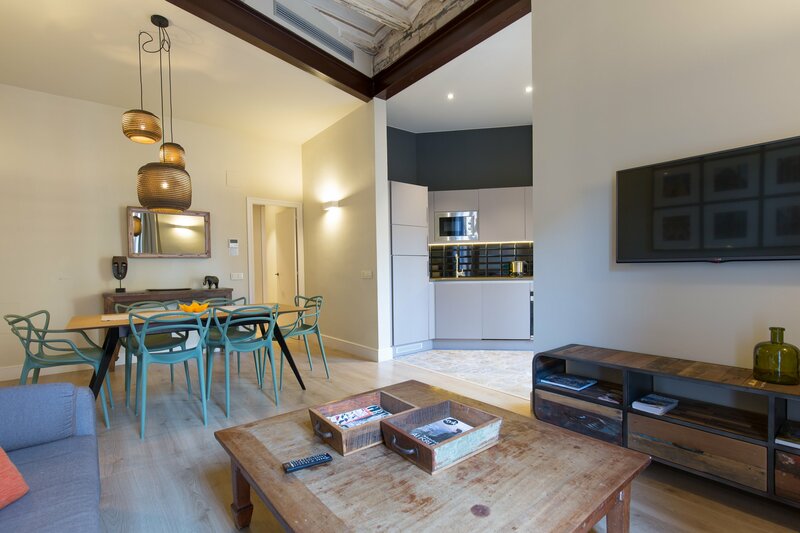 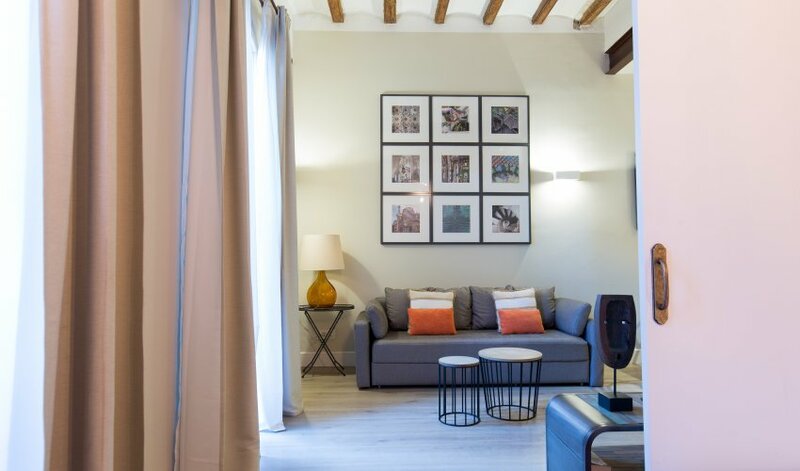 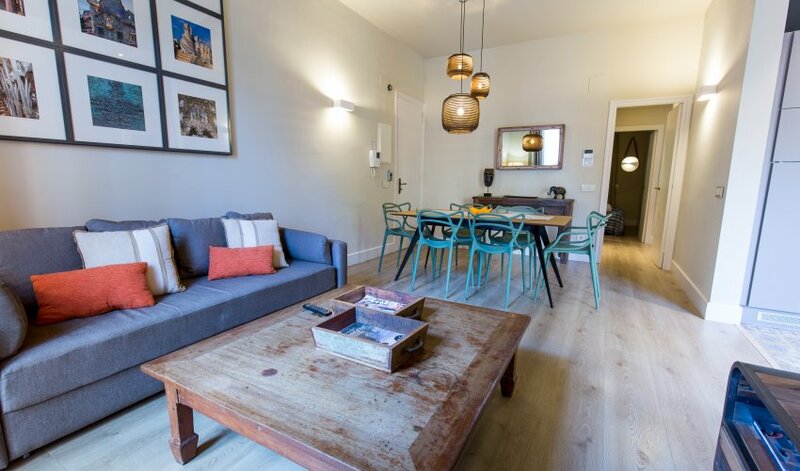 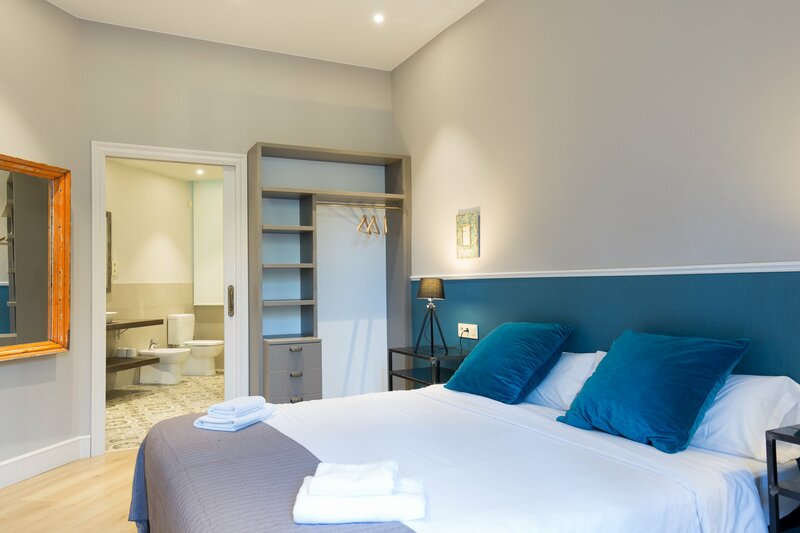 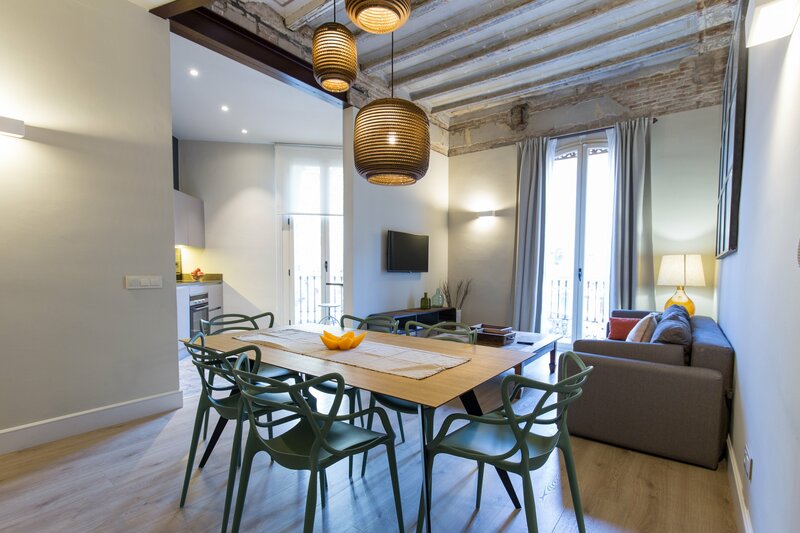 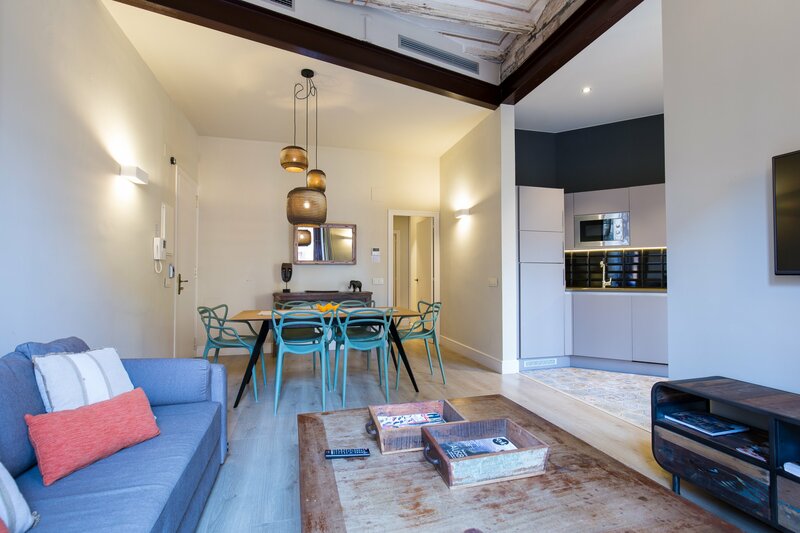 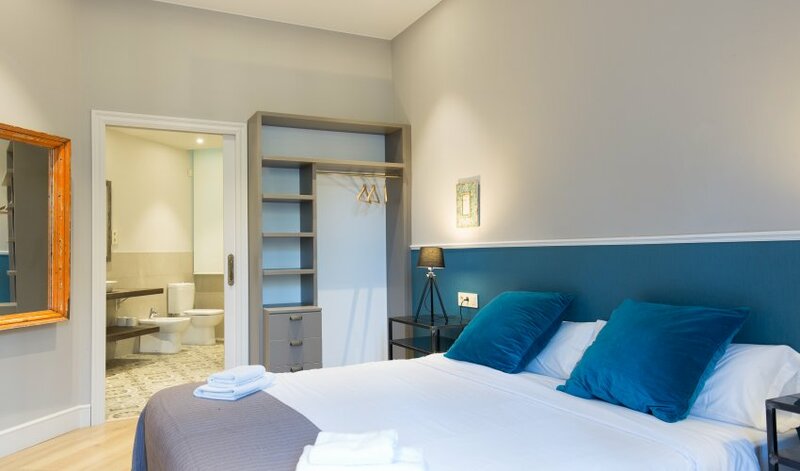 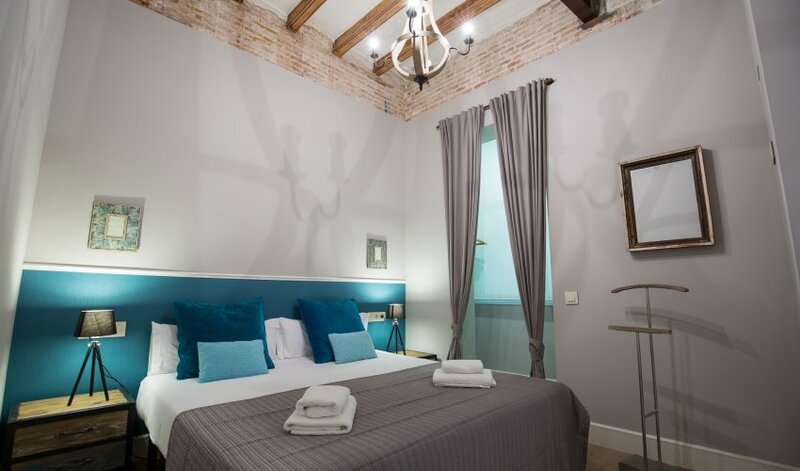 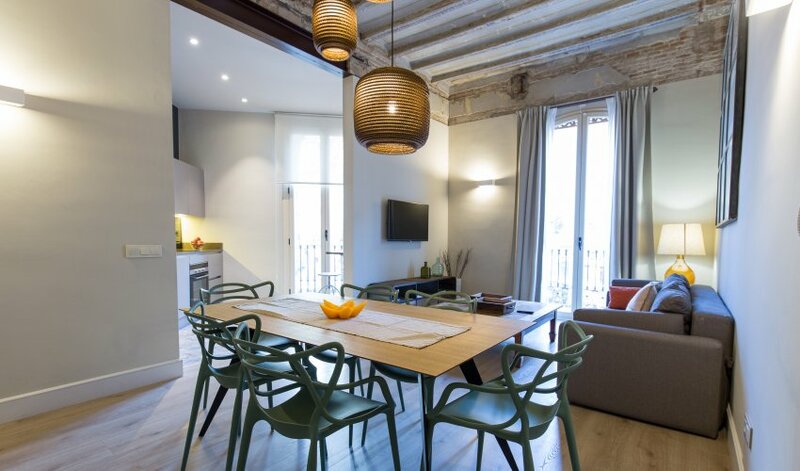 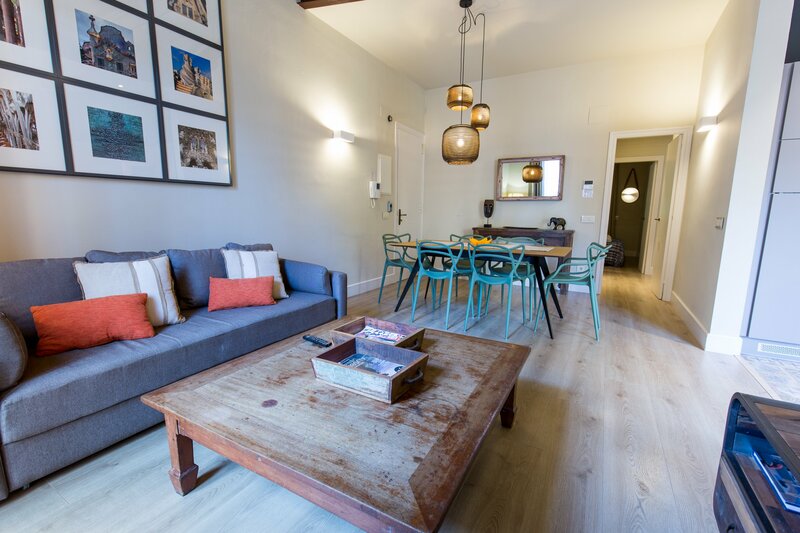 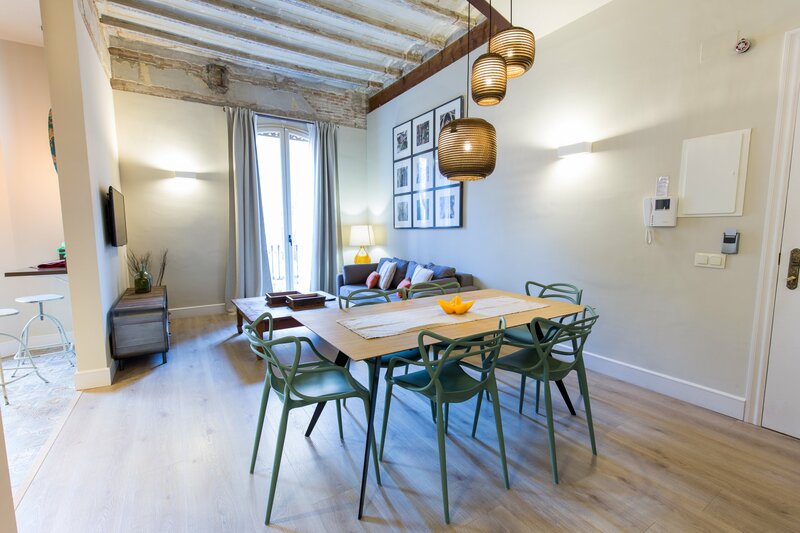 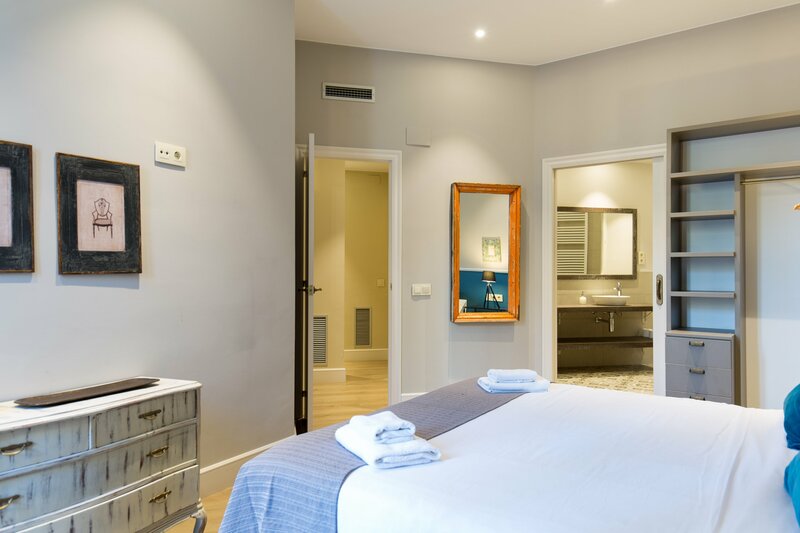 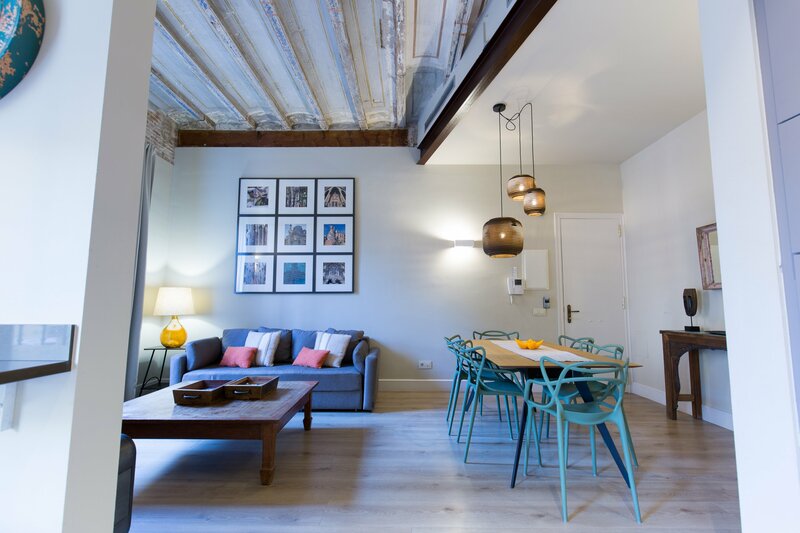 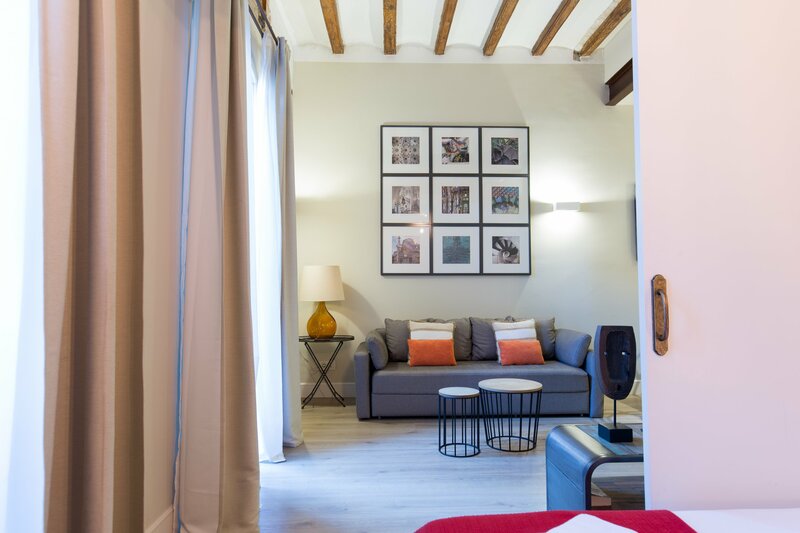 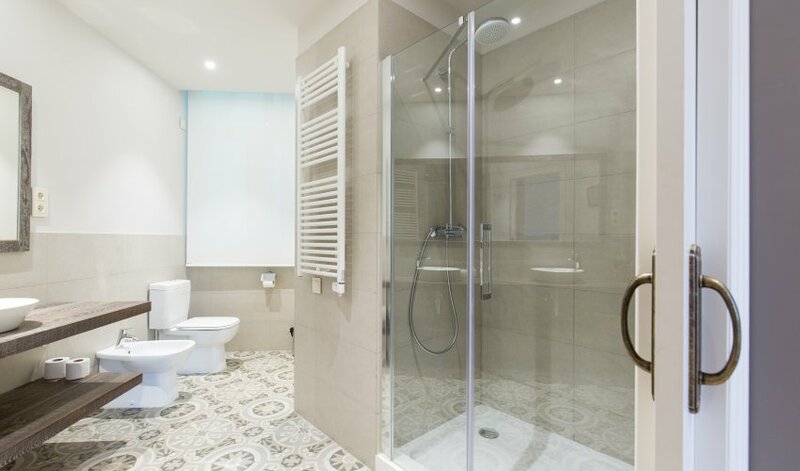 Stylish newly renovated and carefully furnished Barcelona holiday apartments with three bedroom, two full bathrooms, amazing living room with open kitchen and sunny balconies. 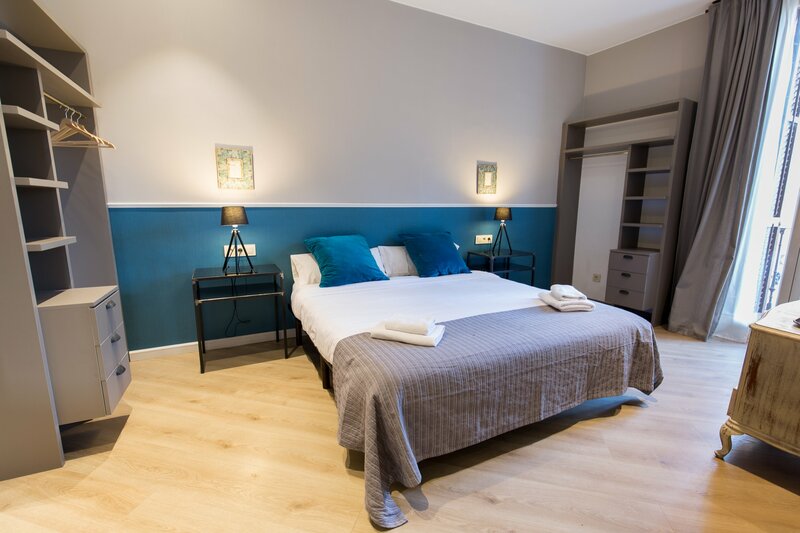 The bedrooms are very quiet and they have either kings size bed or twins plus its own closet. 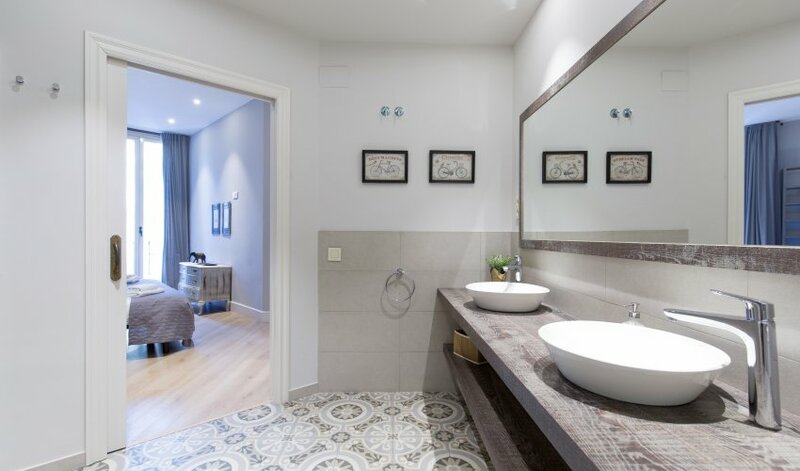 Among the three bedroom there is a master bedroom with spacious ensuite bathroom and a second bathroom in the corridor for the other two double bedroom. 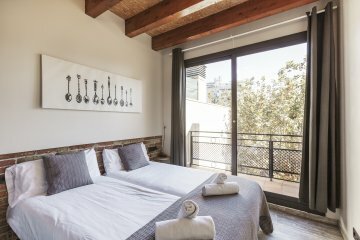 Closest metro stop SANT ANTONI (L2) or POBLE SEC (L3) and city centre is walking distance from the apartment, las Ramblas is just 10 minutes walking. 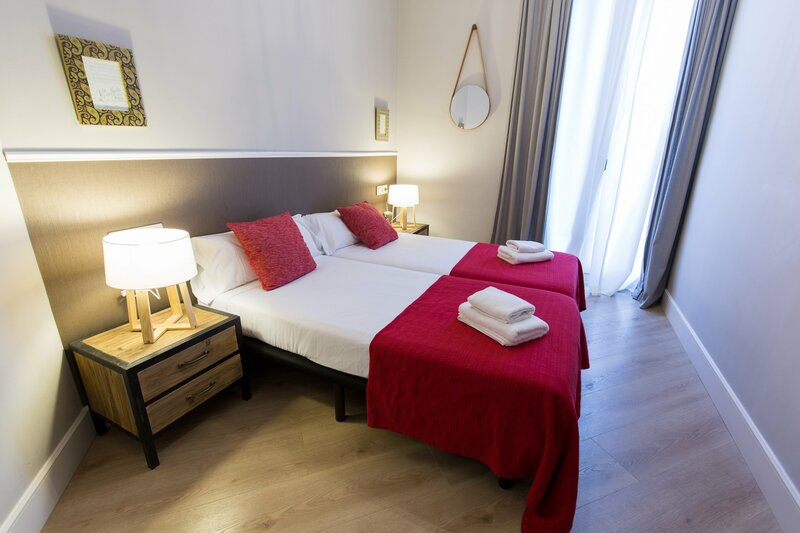 Additional services include wifi, air conditioning in all the apartment. 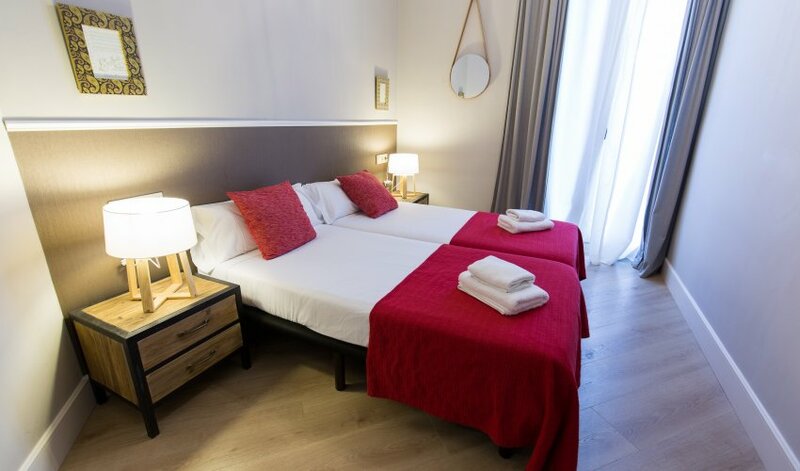 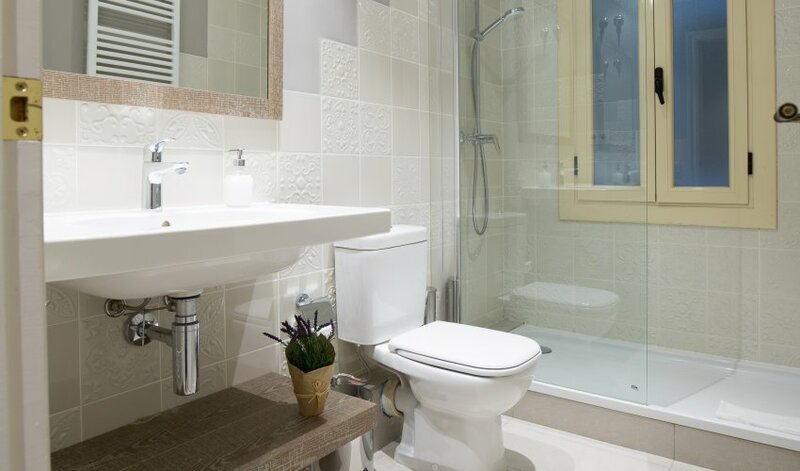 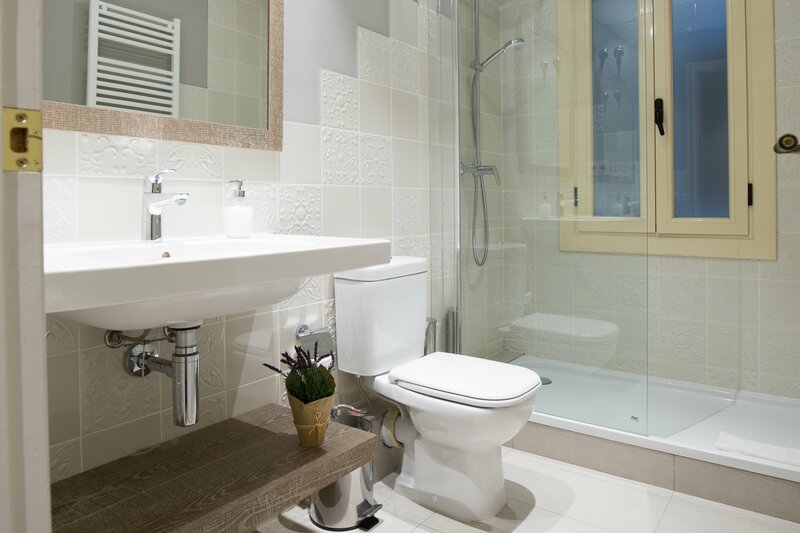 The building where the apartment is located is very modern and only dedicated to this type of accommodation.